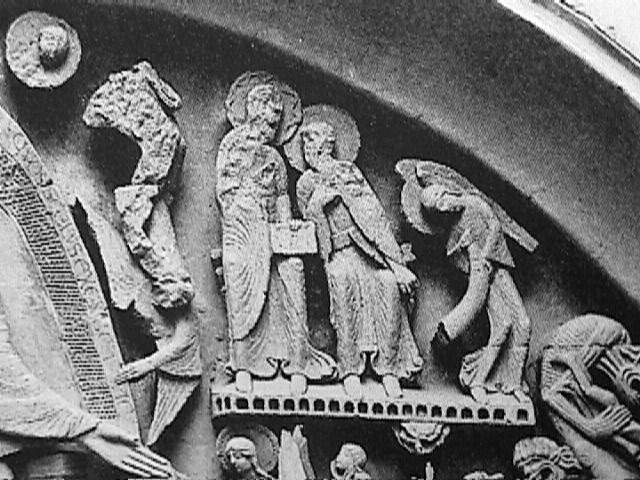 Romanesque Sculpture The Romanesque style, according to Stokstad, means "in the Roman manner." 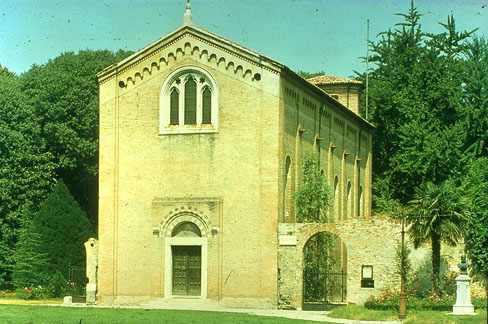 In essence, it merely refers to the fact that many of the cathedrals built in this time period had the appearance of Roman architecture. 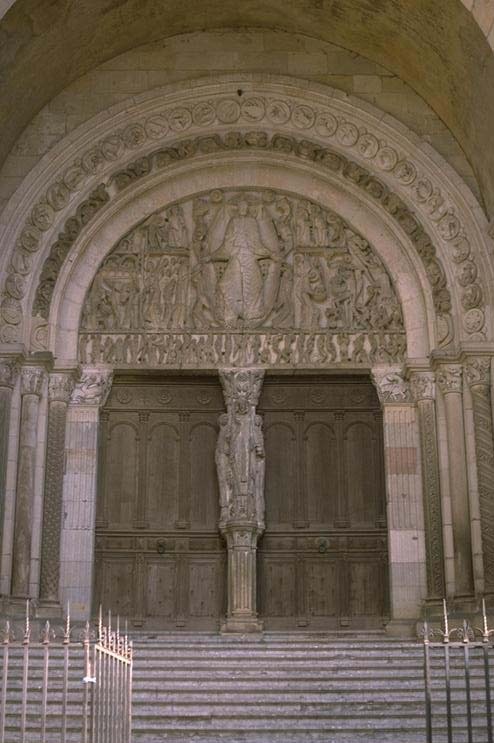 Tympanum: the surface enclosed by the arch and lintel of an arched doorway, frequently carved with relief sculptures. Archivolt: the molding fram an arch. 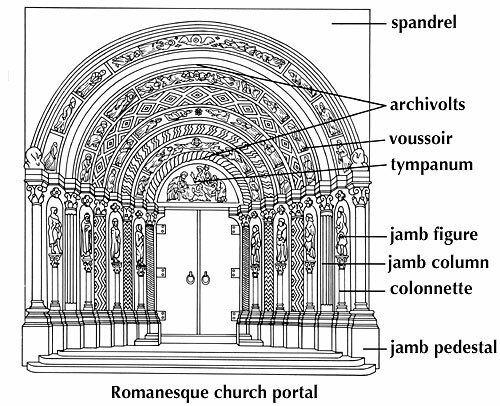 In Romanesque and Gothic architecture, each one of a series of arches framing the tympanum of a portal. Lintel: a horizontal beam spanning an openings, as over a window or door, or between two posts. Jamb: the side of a doorway or window frame. 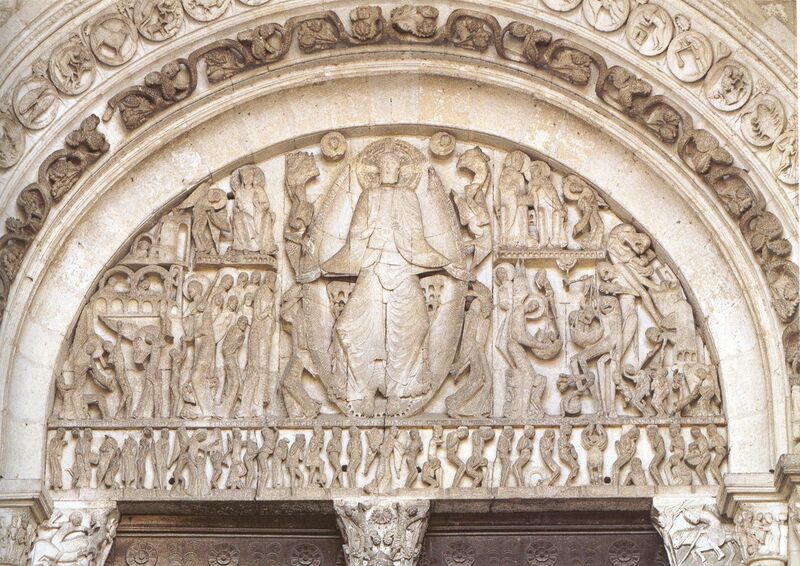 The jambs of the portals of Romanesque and Gothic churches are frequently decorated with figure sculpture. 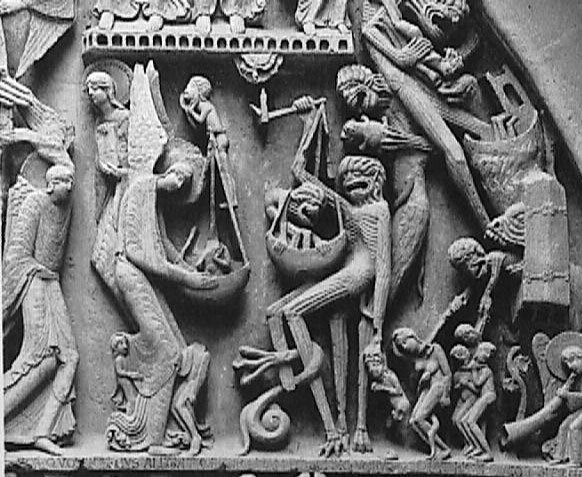 Around this interior depiction of a sermon one can see the various signs of the zodiac, which brings forth one of the main differences between the Romanesque and the Gothic style of art within a cathedral, in a Romanesque cathedral one can easily find depiction's of events and symbols that are not necessarily related to what is found in the bible. 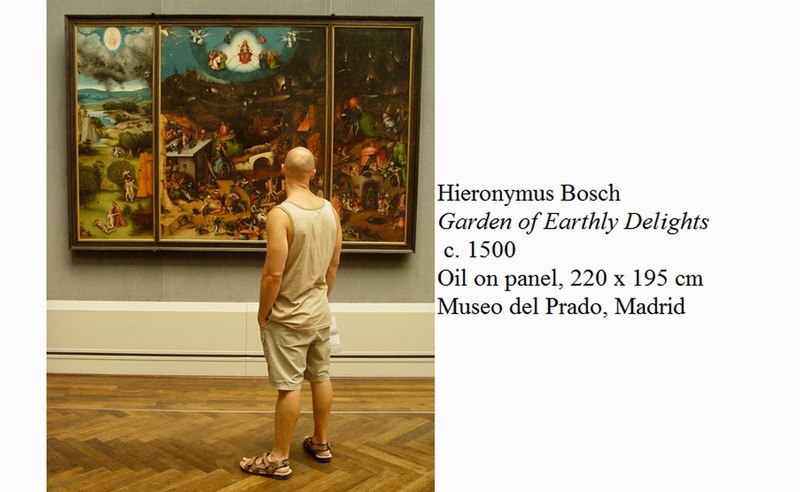 In a Gothic cathedral, by contrast, the emphasis is put mainly on biblical scenes, and scenes with Jesus in particular. 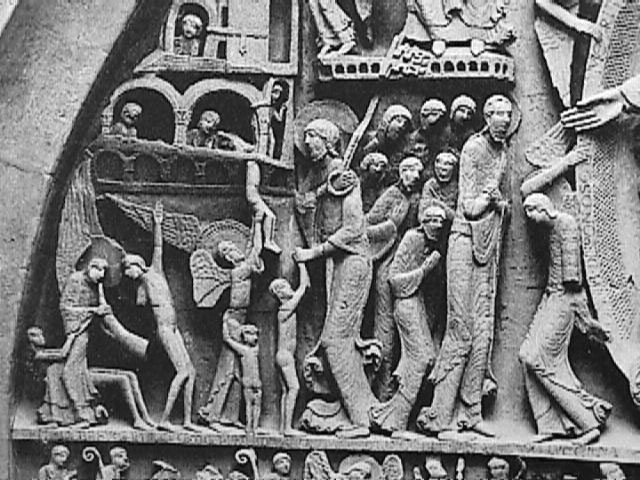 Context: In Romanesque art, the emphasis to the followers was teaching. 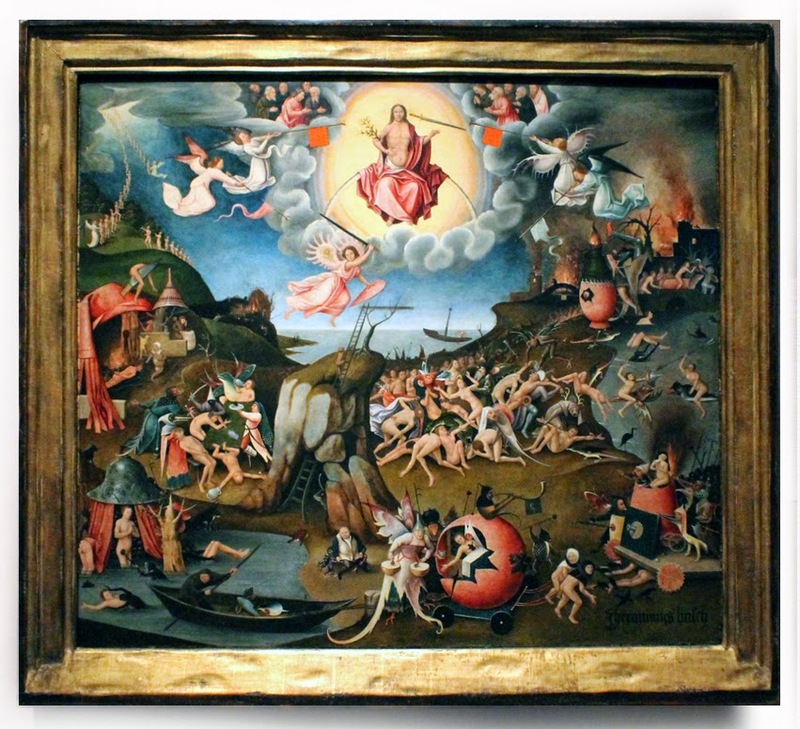 The scenes shown in almost all of the artwork found at St. Lazare are intended to teach a morality lesson, tell a story, or establish a sort of religious iconography of good and evil. 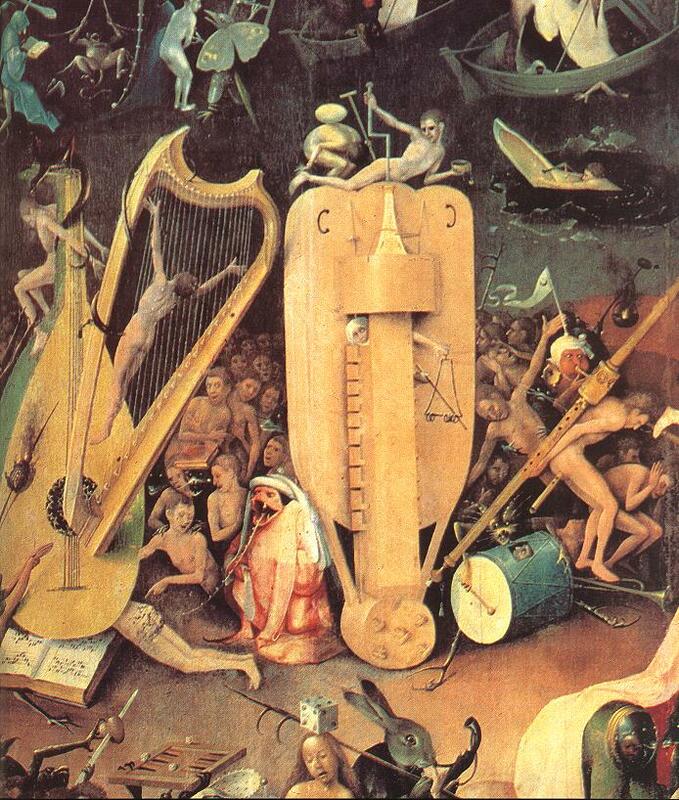 For example, almost everything in this piece is representative of something else. 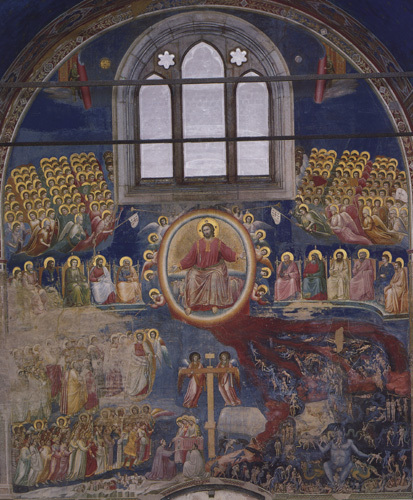 The arch above Jesus and the scene surrounding him is representative of heaven. 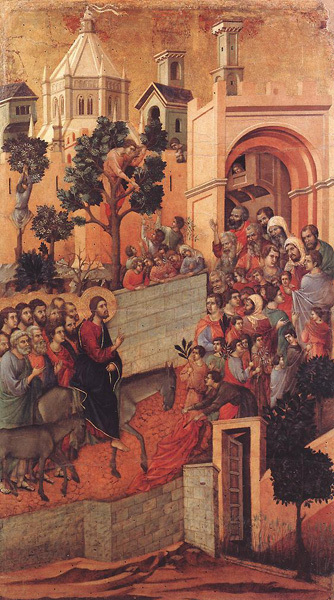 The sinners are always found to the left of Jesus, and the believers to the right. 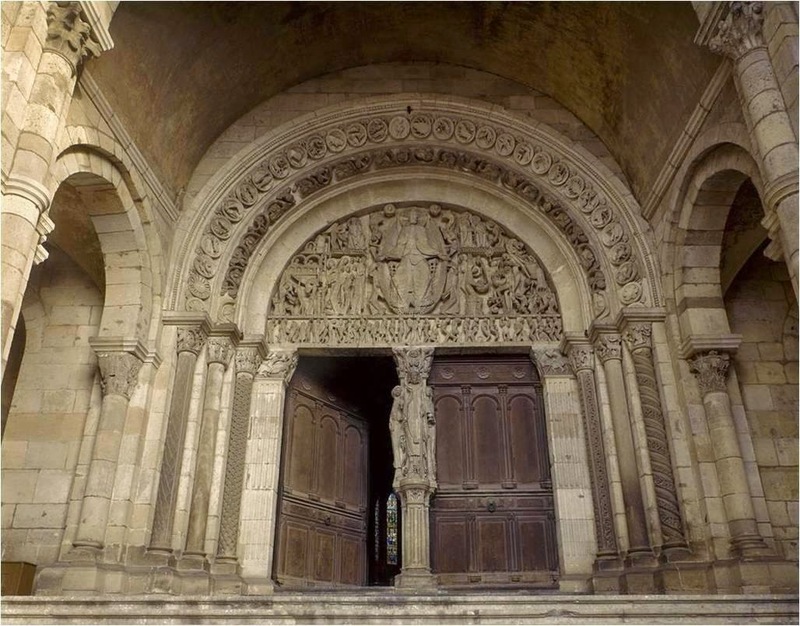 Everything in Romanesque art and architecture is highly organized and made to to make it easy for the followers to read the meaning and the message that the church intends. 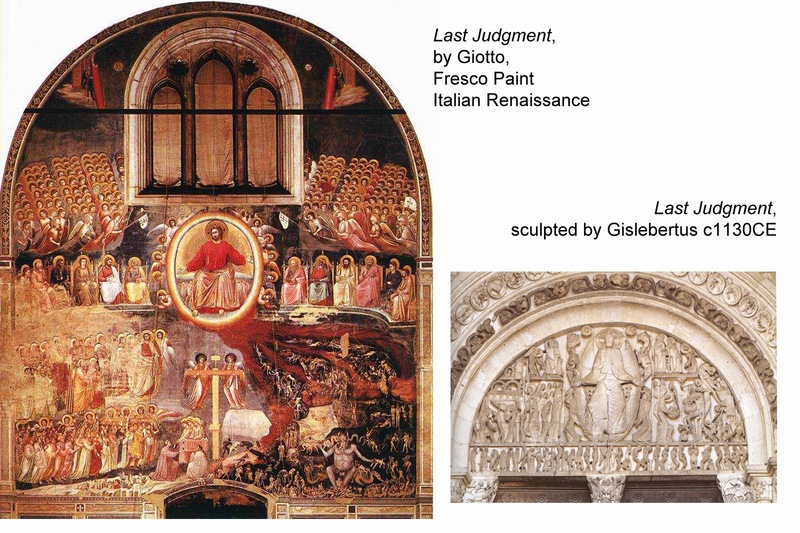 From first glance, one could already see the hierarchy established through the use of three separate levels as well as the scale involved in placing the relatively large sculpture of Jesus in the center enclosed in a glorifying mandorla. 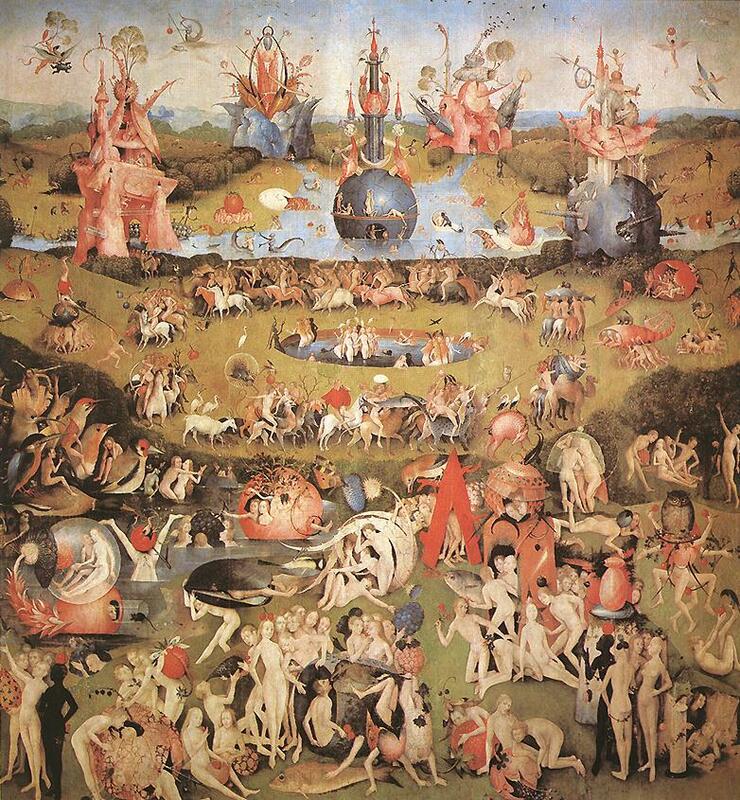 (The topmost level is an exception in the hierarchy since it represents the heavens; the entire band consists of "good" people. ) 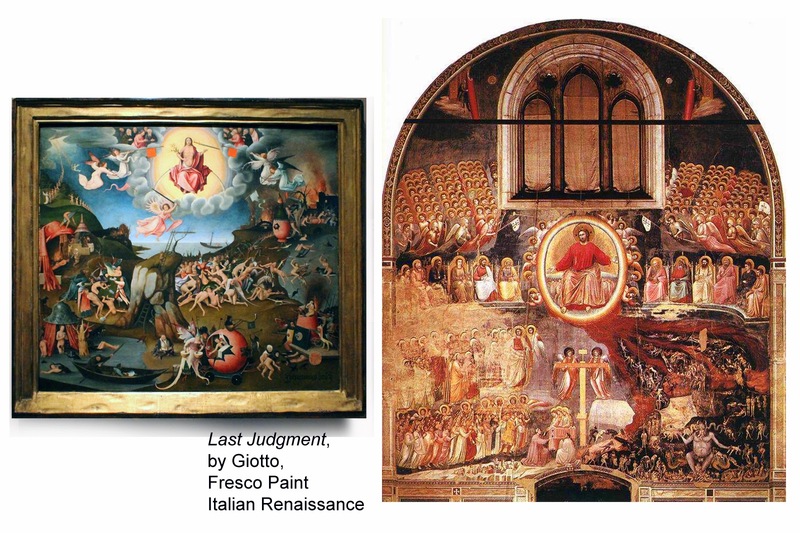 The symmetry of the art, to my perspective, expresses the way the world and one's fate after death revolves around how well one learns from and lives their lives according to the teachings of Jesus. 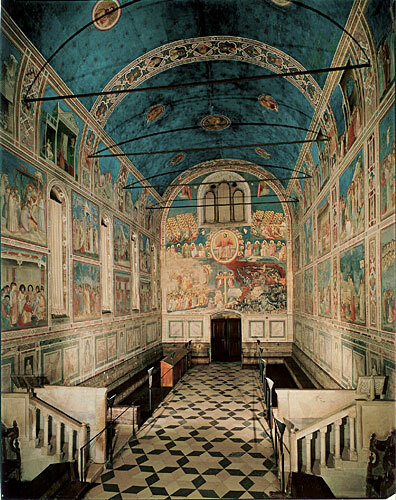 The art overall exhibits no deep space and is stylized rather than naturalistic. Interestingly, the art is organized in such a way that the figures considered good and worthy of the kingdom of God are to Jesus' right and those who fail the last judgment because of sinfulness are to His left. 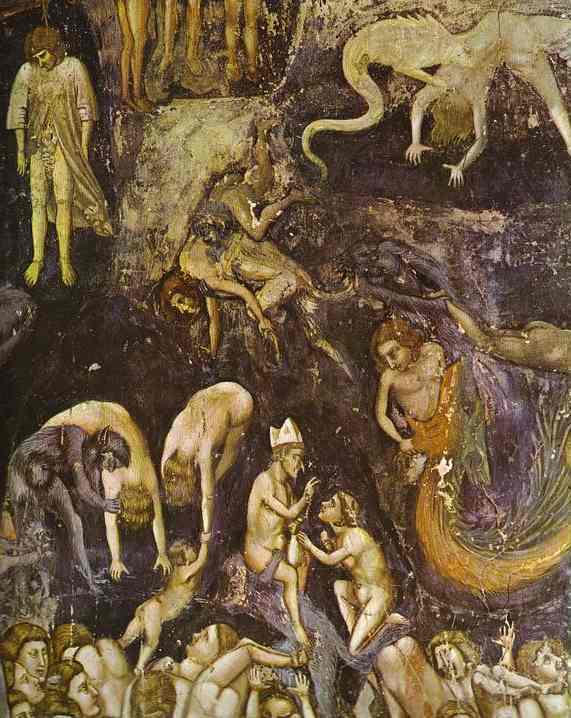 The smaller size of the figures in the bottom-most band indicates those who await their judgment before the Lord. 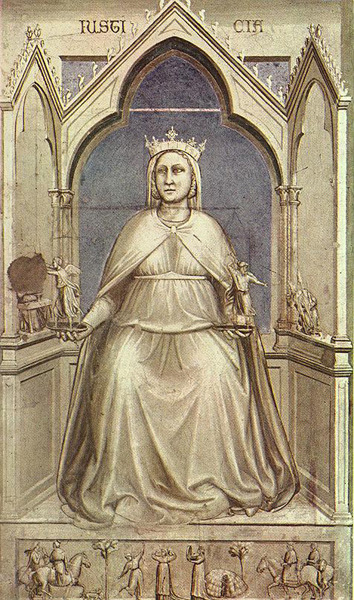 The sizes of the figures as well as their placement in the hierarchy are done in accordance to their religious importance. 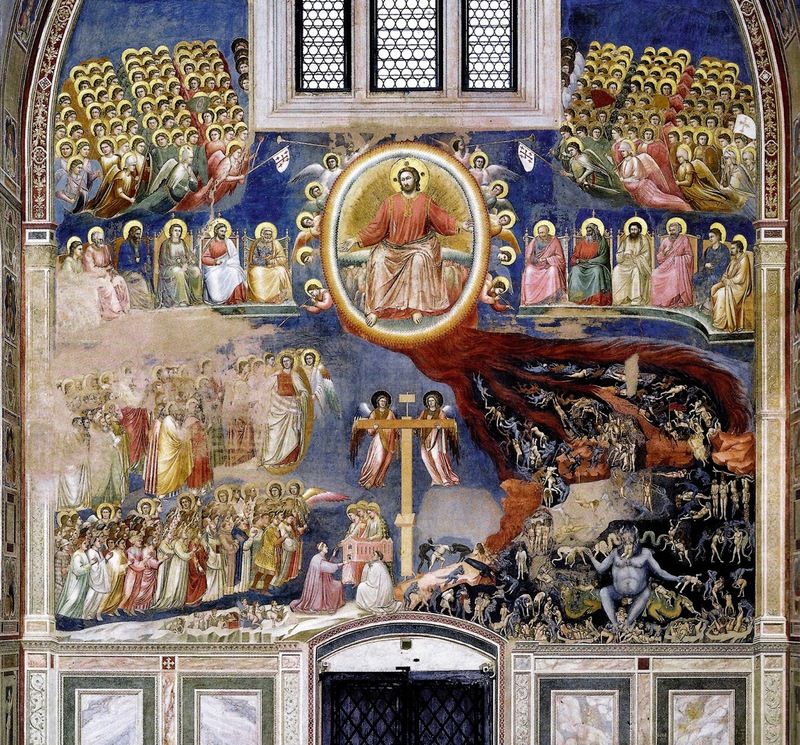 This can be scene in St. Peter, who is said to be the gatekeeper of Heaven; he is larger in size than the other believers as well as the angels. 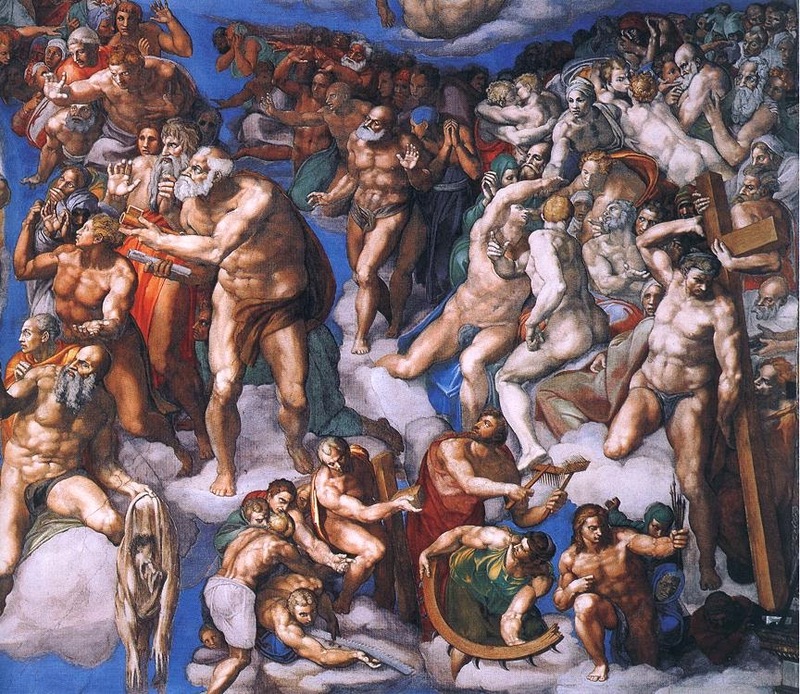 The main storyline of the scenes is centered around the battle between good and evil and triumph of one or the other during the weighing of souls after death. 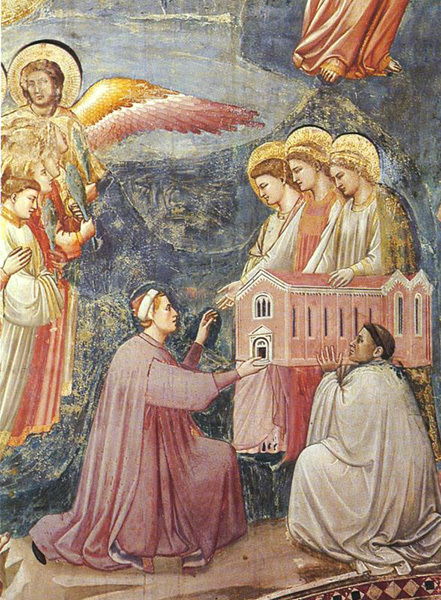 The consequences of being good are illustrated, for instance, by the faithful children joyfully playing with angels to Jesus' right. 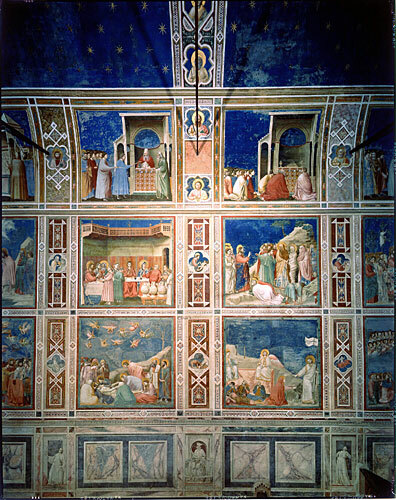 The rewards of goodness are also expressed by the graceful appearance of the angels, a persuasive element in the art that urges people to be righteous. and Santiago de Compostela. 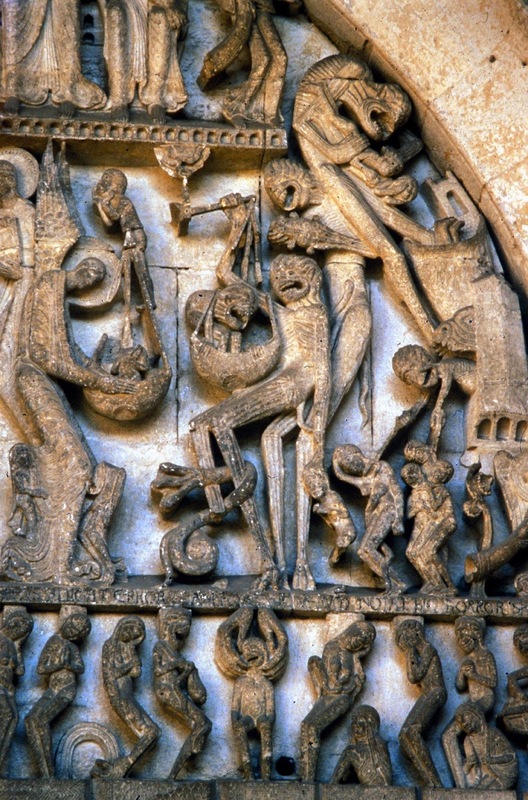 The iconography found on select parts of the tympanum clearly show what happens to the 'good' believers. 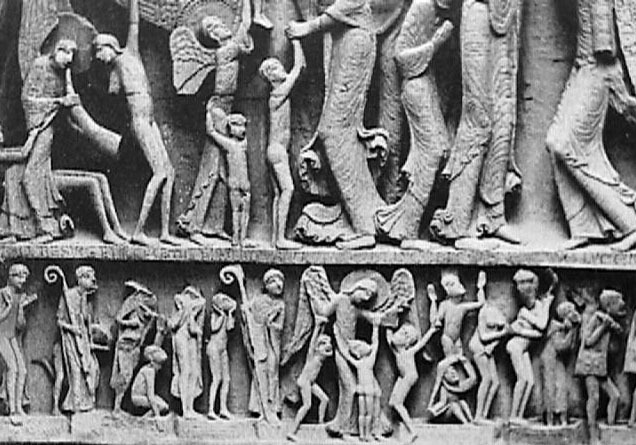 The smaller figures beneath represent the righteous and the faithful, which includes the children, seen playing with an angel. The Angels are always depicted as elegant, benevolent, beautiful, and kind. 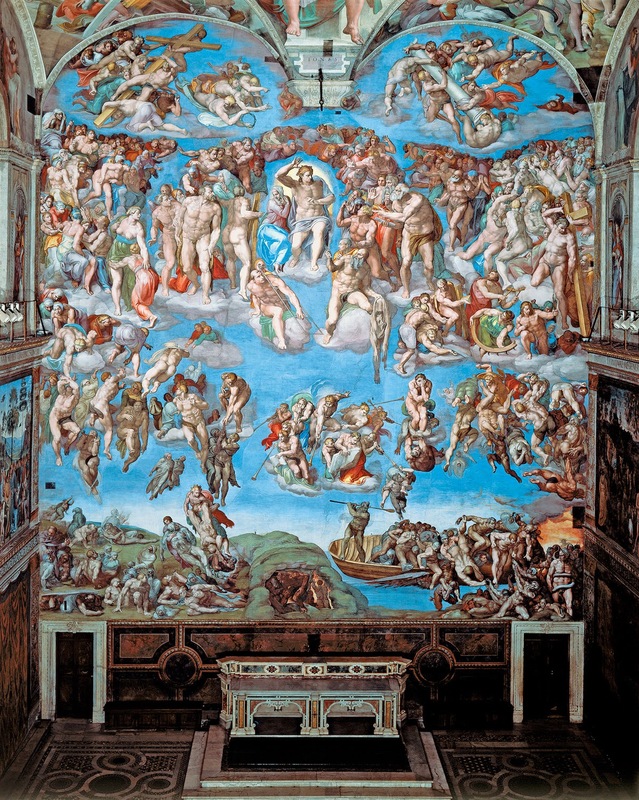 This was to give the impression that heaven was a wonderful place, and would inspire the believers into being good and faithful servants of the church. 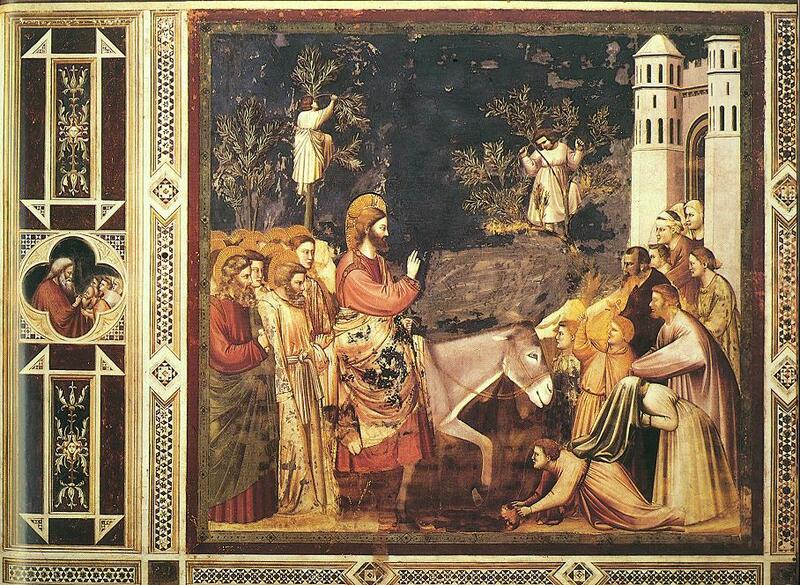 Peter and the elect Here, on the right side of Jesus is St. Peter with the faithful. 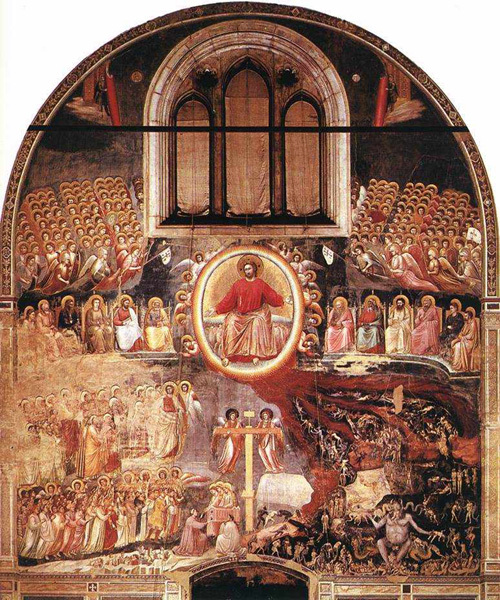 Note again how he depicted as larger than the followers, and even larger than the angels. 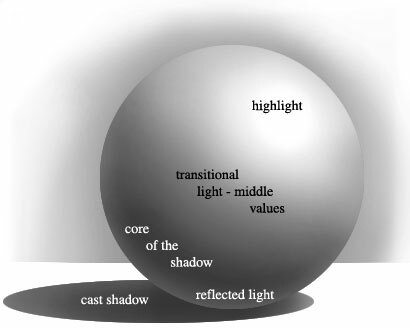 This shows his relative importance in the spiritual hierarchy. Pulled to judgment Though at first one would think this was a depiction of suffering, in truth its meant to show that after the death of this believer, the hands of an angel reach down to pull him heavenward, assuring that his soul has been save. 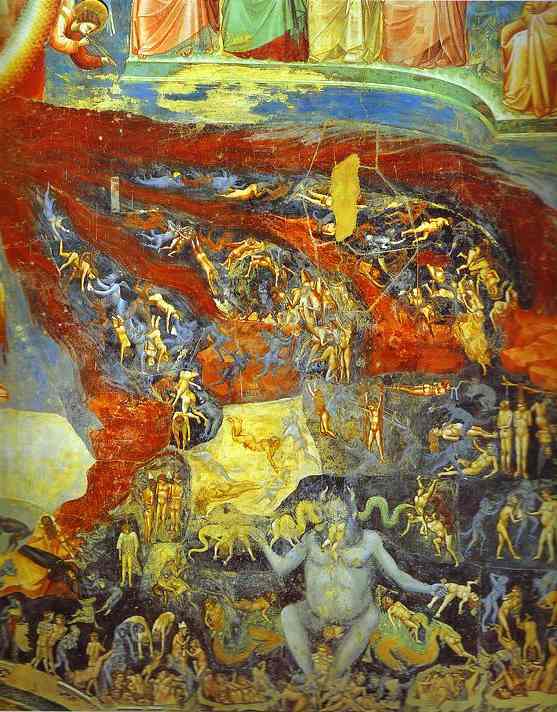 The Damned and the weighing of the souls On the left side of Jesus is Evil, the Devil and his minions who are participating in the weighing of the souls. 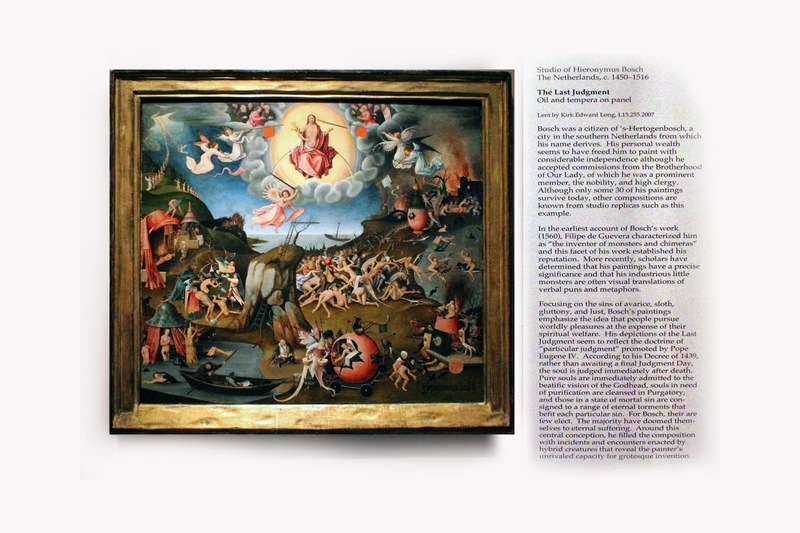 In this judgment scene, one can see the Devil and the Archangel Michael both taking part in the judgment. 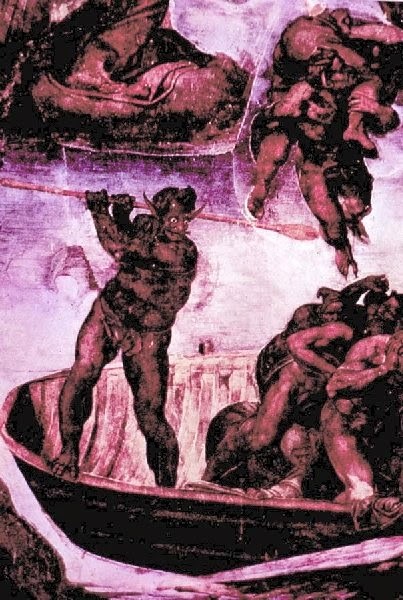 While it appears that the Devil is trying to pull the scale downward in order to be able to claim another soul, Michael appears to be attempting to lift the soul upward, in order to claim the soul for heaven. 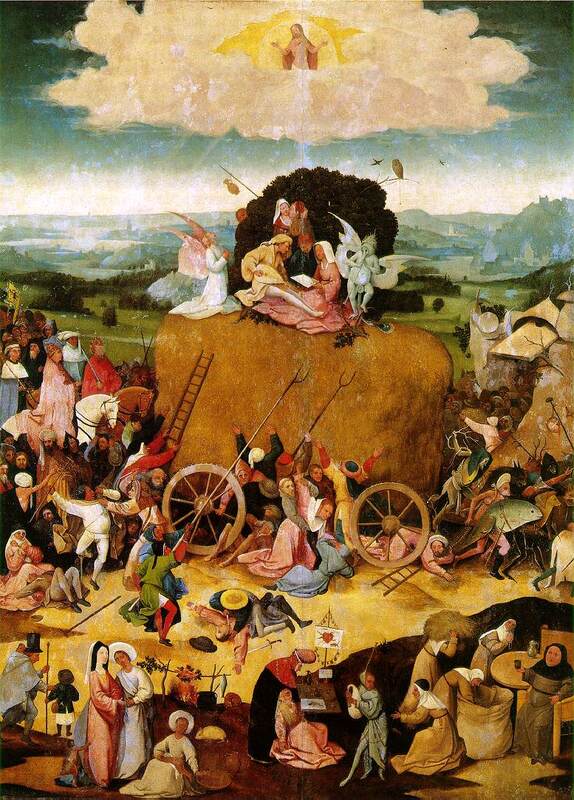 Though it is a small vignette, it illustrate rather succinctly the struggle of good and evil in the souls of mankind. 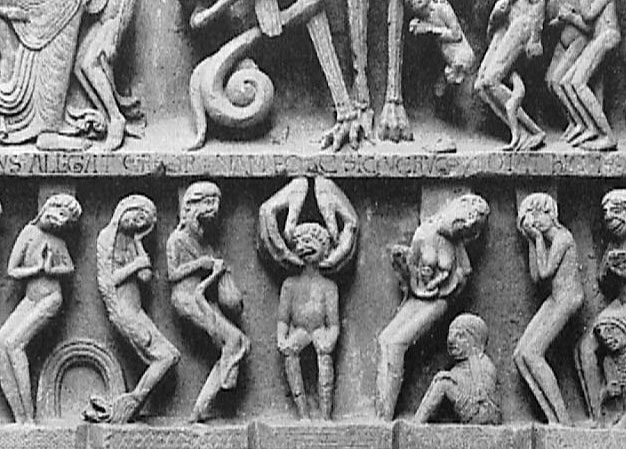 Note how in contrast to the angel Michael, the Devil is portrayed as emaciated, grotesque, and as terrifying as the stone masons could portray. 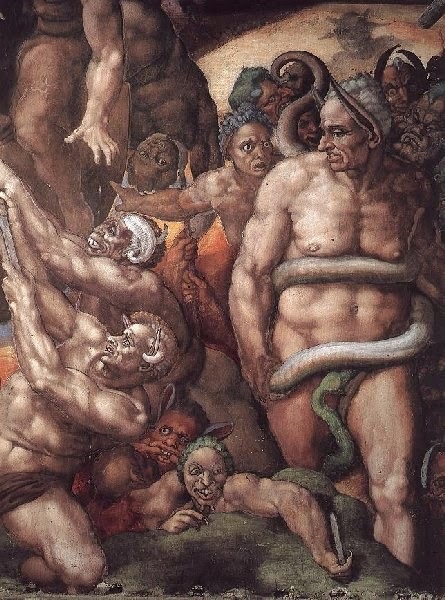 This was to remind the members of the church how awful hell was, and frighten them into submission. 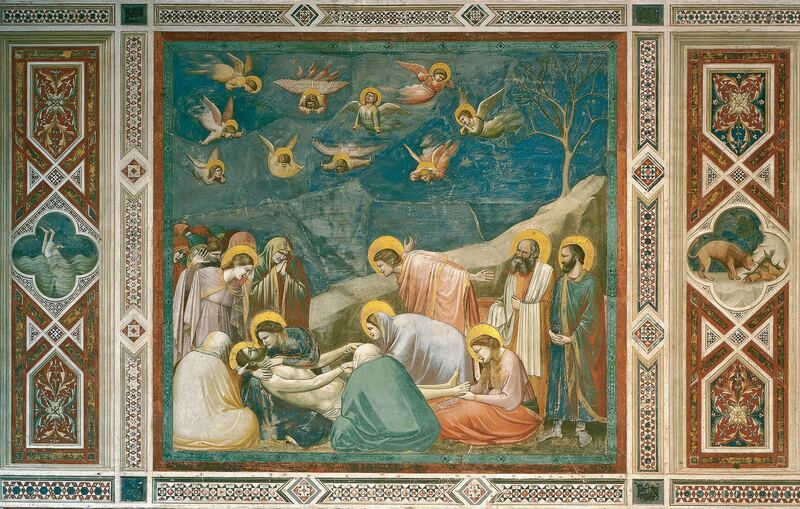 Paul makes a last attempt Here, though it is technically the left, or 'bad' side of Jesus, We see St. Paul and the Angel make a last attempt to pull the damned souls to redemption. 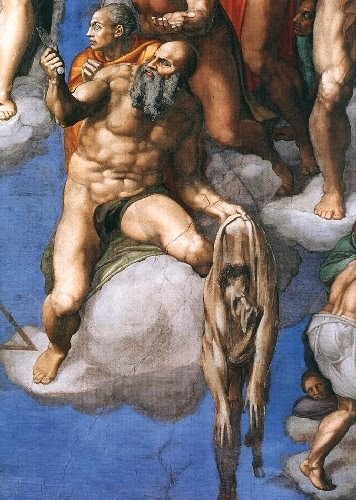 Hoping that through the call of the heavenly trumpet, man will be swayed to the side of God. 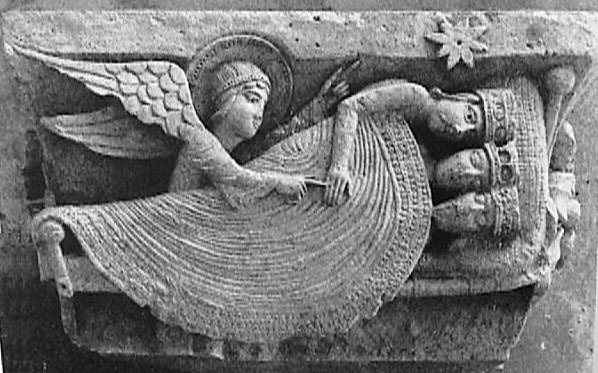 Sleeping Magi This relief sculpture is found in the capital above the choir in St. Lazare. 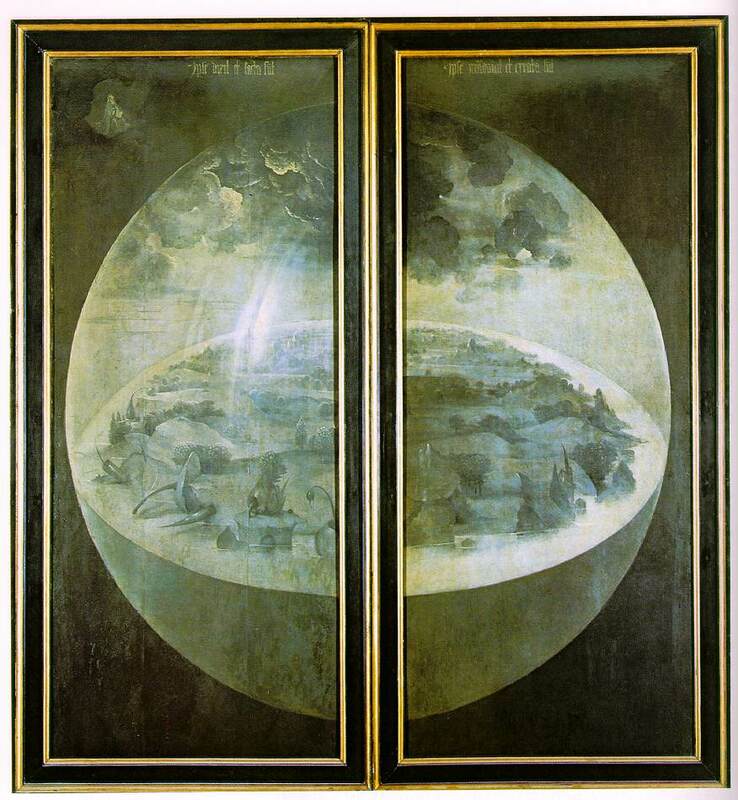 It is a rather tender depiction of the sleeping Magi, better known as the 'three wise men' and the Angel who is trying to waken them to view the star over Bethlehem, signaling the birth of Jesus. 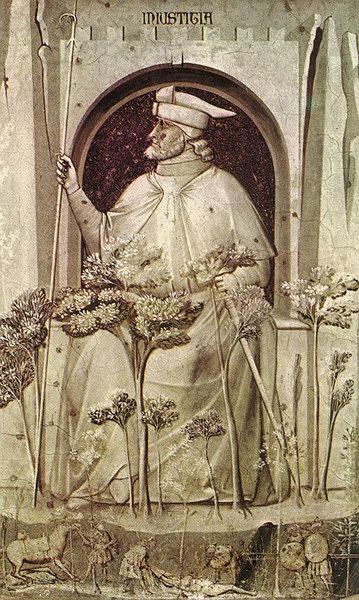 One of the wise men is shown with his eyes half open in sleep, just beginning to awaken and set forth on the journey to bear their gifts of gold, frankincense, and myrrh. The sculpture is characteristically diagrammatic and takes liberty with proportion in order to once again show the importance of the individual through their relative size.